Fighting crabgrass (Digitaria spp.) seems like a yearly battle. Even when you think you eradicate it from your lawn, seeds blow in from a neighbor's yard to take root in yours. These seeds might lie dormant for three years or more. The weed grows and spreads quickly, so fighting the seeds before they germinate in the spring with a crabgrass preventer works best. The herbicide often kills some cold-weather weeds in addition to crabgrass when you apply the granules in the fall. Crabgrass germinates fairly early in the spring. When the soil temperature rises above 50 degrees Fahrenheit, which is about the time the first flowers and bushes start to bloom, crabgrass seeds begin to germinate. That's the right time to apply Scotts Halts Crabgrass Preventer, which contains the herbicide pendimethalin. Spread about 2 pounds of the granules per 1,000 square feet of lawn using a drop or rotary spreader for adequate coverage. 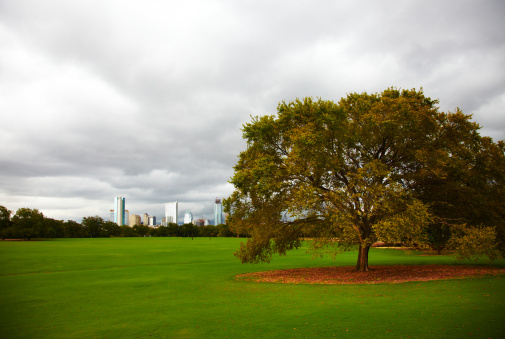 For established lawns, early spring is the right time to apply Scotts crabgrass preventer. But if you just seeded your lawn or you are planning to seed, adjust the application time to ensure the herbicide doesn't stop your grass seed from taking root, since the product will stop different kinds of seeds from growing. After you apply the crabgrass preventer, wait at least four months to plant grass seed. If you've already seeded the lawn, wait until you mow it at least four times before you spread the herbicide to ensure the grass is mature enough to avoid damage. This Scotts product helps keep the weed's seeds from germinating, but the herbicide's effectiveness eventually wears off, usually between two to four months after application. Seeds that find their way into your lawn after the herbicide fades can still germinate. Don't apply the herbicide more than twice per year. It's best to wait at least two months between the applications. 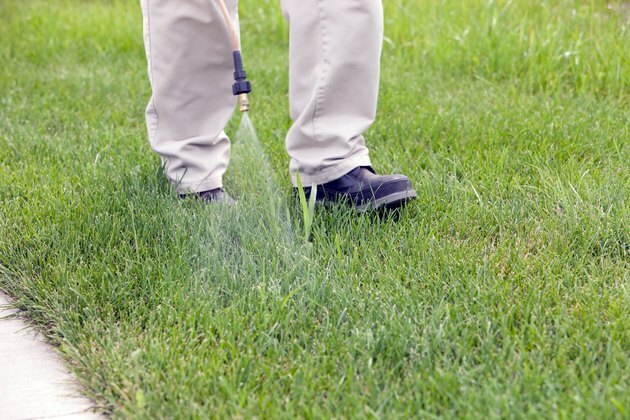 Instead of applying the herbicide to your entire lawn, you can treat the areas most likely to experience crabgrass problems, including the spaces next to your driveway and sidewalk. These spots absorb heat from the concrete, making them more attractive to crabgrass. The active ingredient in Scotts Halts Crabgrass Preventer, pendimethalin, kills at least nine varieties of weeds, not just crabgrass. To prevent winter weeds such as the annual chickweed (Stellaria media) and henbit (Lamium amplexicaule), apply the Scotts weed killer in the fall, just as the weather starts to cool. Apply the product just as you would in the spring, using 2 pounds per 1,000 square feet of lawn. Only apply it in the fall if it has been at least two months since you performed a full-lawn summer application. Scotts Halts Crabgrass Preventer can help your lawn look lush and green without the annoying weeds popping up. Time your application right to make it effective without damaging your grass. While studying journalism in the Army and at the University of Missouri, Rob Harris developed a lifelong love of physical fitness and nutrition, contributing often to a dairy industry newsletter. He has also worked with and created blogs for several family businesses including a professional dog kennel and a flower shop, where he used his experience as an avid gardener to grow plants for sale. 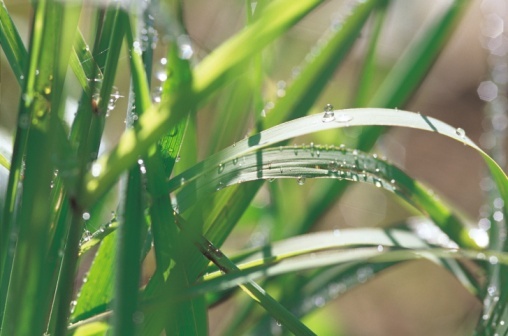 What Is the Difference Between Crabgrass & Quack Grass? How do I Apply Casoron Weed Killer? What to Do About a Clumping Fescue?